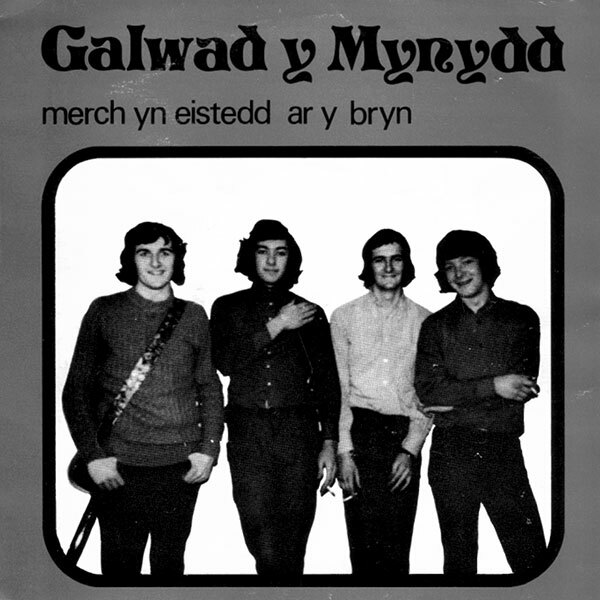 Choosing musicality over volume, beauty and heartache over protest and politics they were a young anomaly in Welsh language pop. 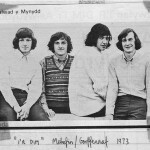 Songs such as Can Cadwaladr were aimed at the dancefloors of a new breed of Welsh language pop sound system that mushroomed in the 1970’s led by the charismatic bearded DJ Mici Plwm. 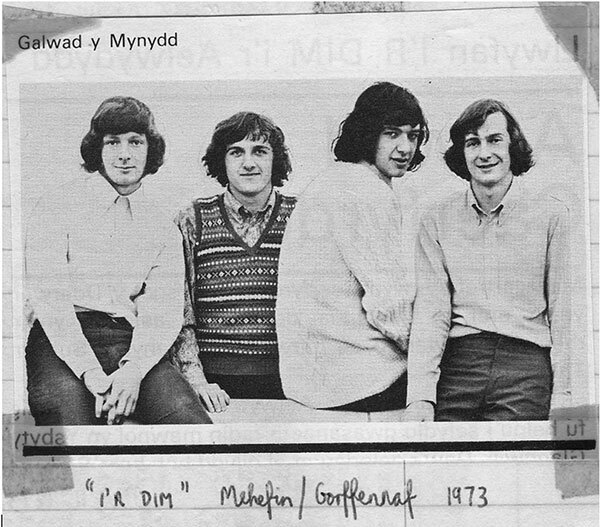 GYM clearly understood their audience and were winners of the pop group competition at the 1972 Pontrhydfendigaid eisteddfod. 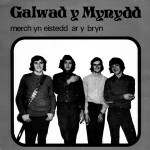 Galwad Y Mynydd however were never to achieve their ambition of becoming a fully formed professional outfit, rather they were the opening act of a scene of bands that eventually morphed into smooth folk rock college super group, Hergest. 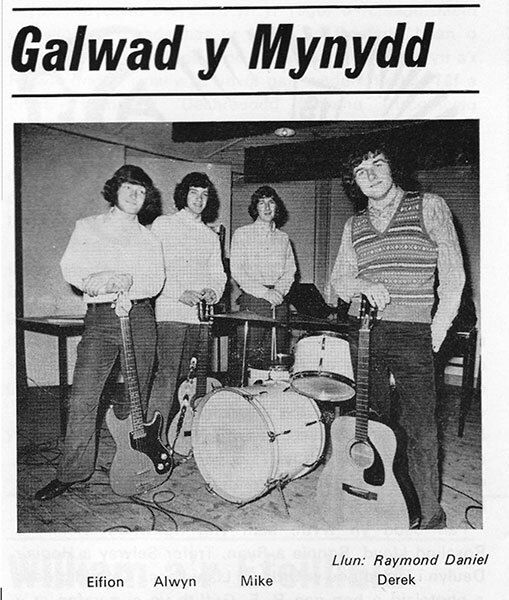 Bonding at a holiday camp run by Urdd Gobaith Cymru, a league of youth that is a near enough compulsory rite of passage of a Welsh language education, the future members of Hergest were drunk on the euphoric possibility of 12 string guitars, mandolin and autoharp – their eventual career as Aberystwyth’s answer to The Eagles belying the promises of Derek’s Galwad Y Mynydd, Geraint Davies’s spooky Gwennwyn (Poison) and Delwyn Sion’s Madog. Although Derek continues to release records, often for children on the Fflach label, as well as penning many popular radio songs in the 1980’s, the experienced college boys of Hergest never matched the innocence that is the heartbeat of GYM’s songs. Named after an Ioan Bowen Rees’ companion to mountaineering, many of their songs display their awe of the geology that surrounded them. 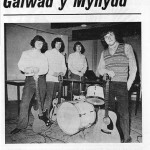 Songs such as Niwl y Mor meanwhile, a hymn to the beauty of the mist rising over Cardigan Bay on a Summers day, and ballads such as Un Cynnig Olaf (One Last Opportunity) display all the heartbreak of young love. 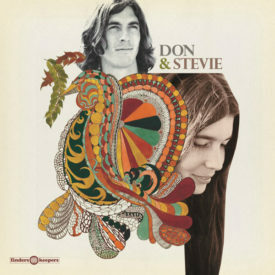 With their fragile music they created an emotional landscape of their own that is an evocative snapshot of early seventies teenage life on the damp West coast of northern Europe.